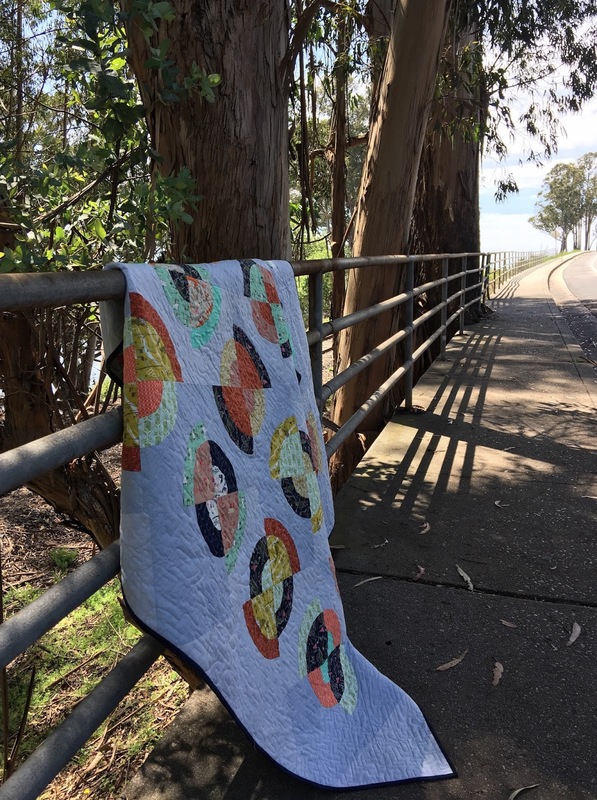 If you're on Instagram you may have seen the posts for #quiltvsquilter where makers share a mosaic of their recent work and/or describe their style and include a photo of themselves. Putting a face to a name is always something I enjoy and discovering new people to follow a bonus. One maker you won't find on IG and other than a hashtag #pamrocco created to help credit and find her work is my guild mate and mentor Pam. 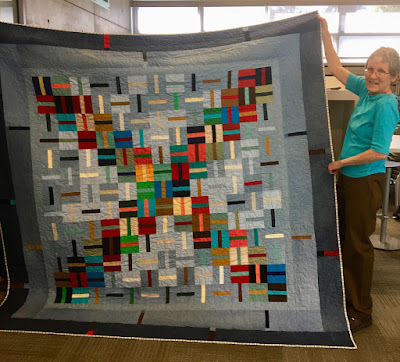 She generously offered a mini-workshop demo at our last Sew Day and did a demo and trunk show of her Britches Quilts. The local thrift store does a 50% off everything on Thursdays so I made a quick trip just before and was thrilled (and surprised) to find a full palette including the floral. Finding 98% or 100% cotton made for leaving behind some great colors in the pants that were poly or too stretchy. Shorts and also kid pants came in great shades but didn't provide enough yardage. 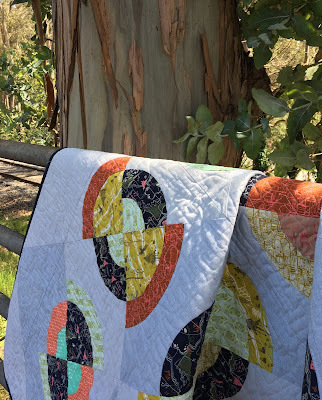 The idea of a quilt being durable because it's already been worn interests me. I love the way the fading of fabric creates a natural ombre effect and the "restrictions" of size is a nice limitation. 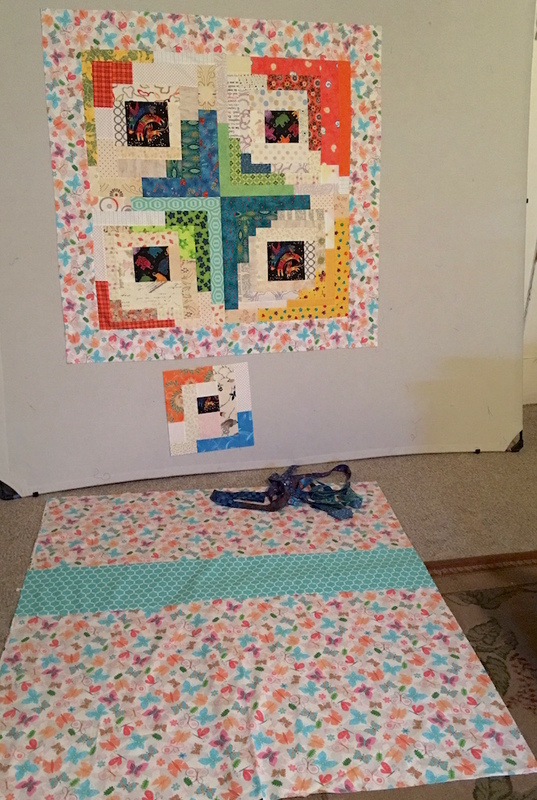 Originally I brought a block design that required a square but quickly realized legs are more rectangle friendly! Excited to get back at my start from class but other deadlines loom and I'm also having shoulder surgery next week which will no doubt put a damper on production! If you're looking for the Online Book Tour Blog/IG Hop for Stacey Day's newly released "Child's Play Quilts" and see Butterfly Kisses revealed, you can find it HERE. 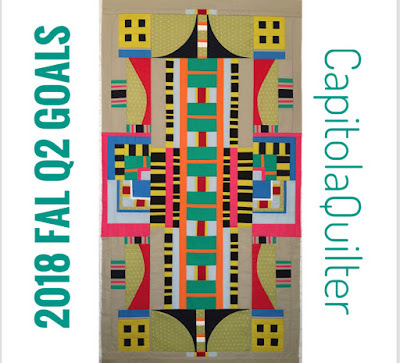 If you're looking for the 2018 FAL Q2 Linky Proposed Goal Party you can find it HERE. 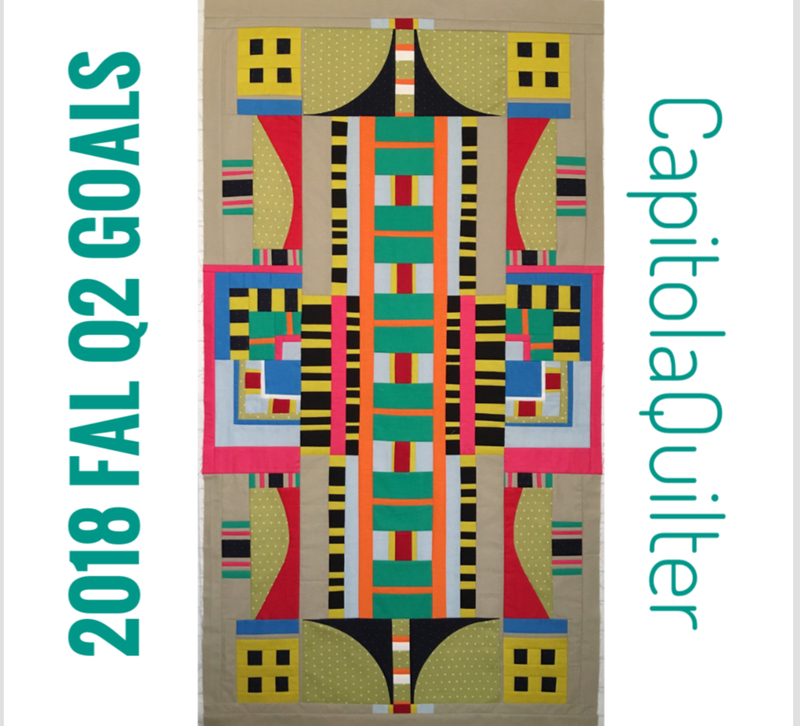 If you want to read all about what my next quarter goals are, stick around. 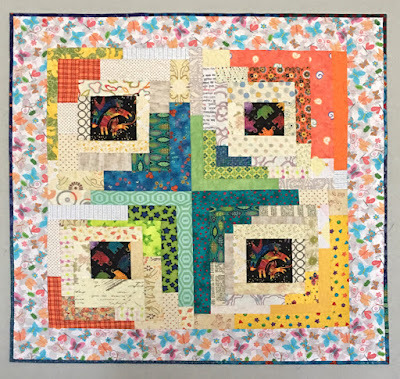 Stretch: Many of these BeeSewcial 2016 blocks were hand delivered to me in Pasadena at QuiltCon two years ago. 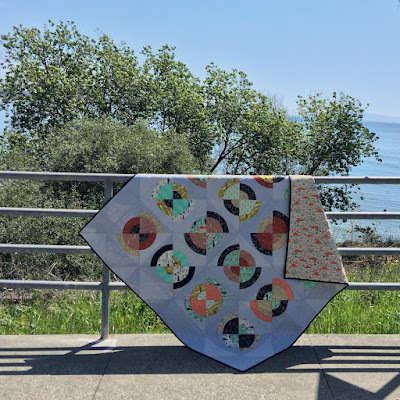 With a cohesive limited palette I thought the prompt would be easier to compose into a quilt but have been quite puzzled by the puzzling when attempted many times so far including two full days of the recent March retreat. (Roll over from Q1). Well last quarter I only got one checked off the list so you'll notice quite a few rolling over to the next quarter and that's OK because quite a lot of other stuff got started and finished so I'm happy. Linking up to the Proposed Goals linky party that is open now HERE- Won't you join me?!? Find out all the details by visiting the permanent FAL tab at the top of the page. 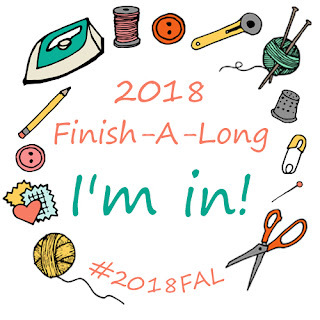 In a nut shell: Write up your Q2 FAL Goal list on a blog or on Instagram, post a picture and Link up (Just once, not individually like you did for the finishes). The countdown clock at the bottom of the linky party will show you how much time is left before it closes. 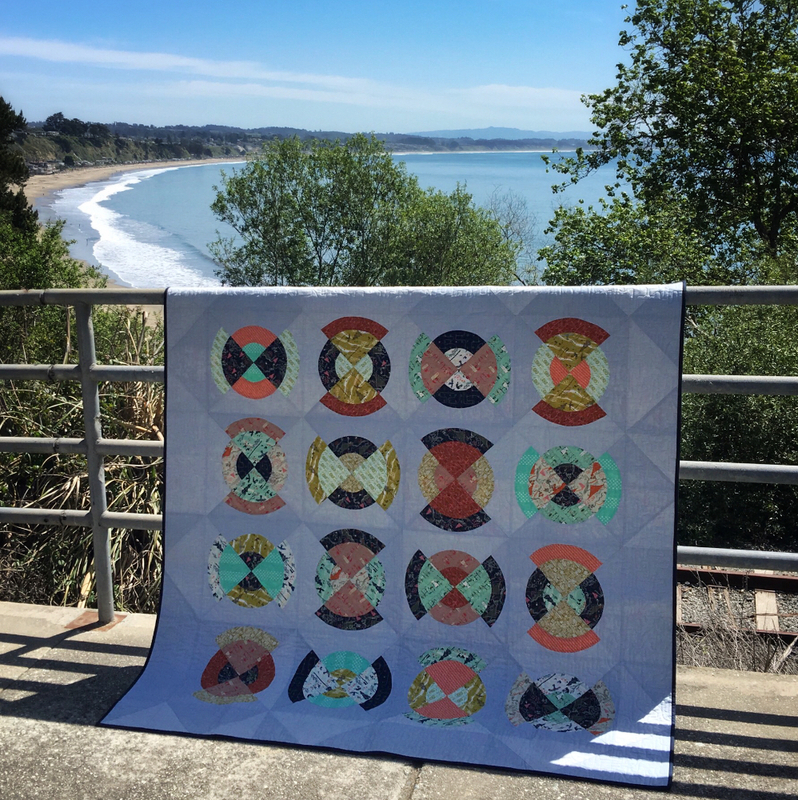 You can enter to win a copy of Stacey's new book Child's Play Quilts on IG simply by regramming a photo of the Butterfly Kisses quilt from my feed HERE, follow and tag @staceyinstitches and myself @capitolaquilter and she'll pick a winner on April 21st. For another chance, my blog followers can comment on her post HERE simply let her know you're popping into say after seeing my post. Simple! 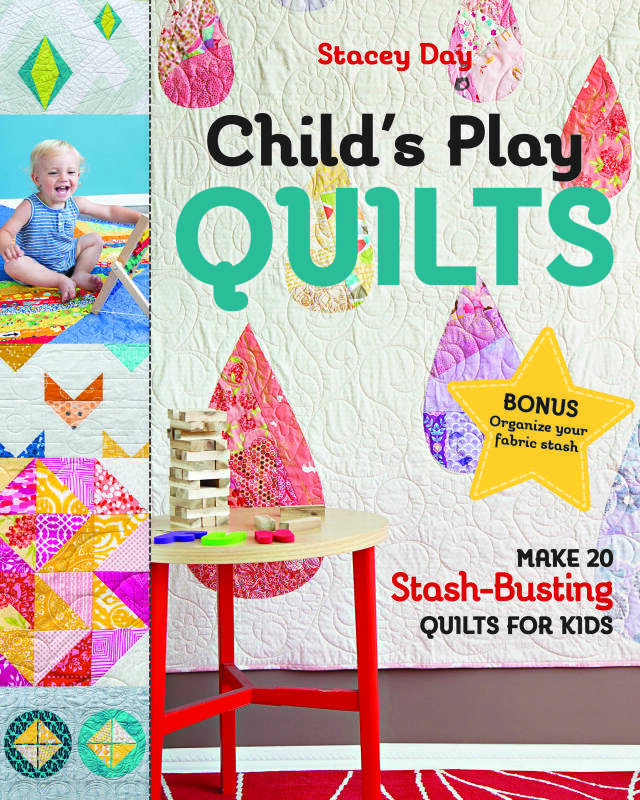 For a chance to win your own copy of Child's Play Quilts,follow these three easy steps! The winner will be drawn on April 21st. 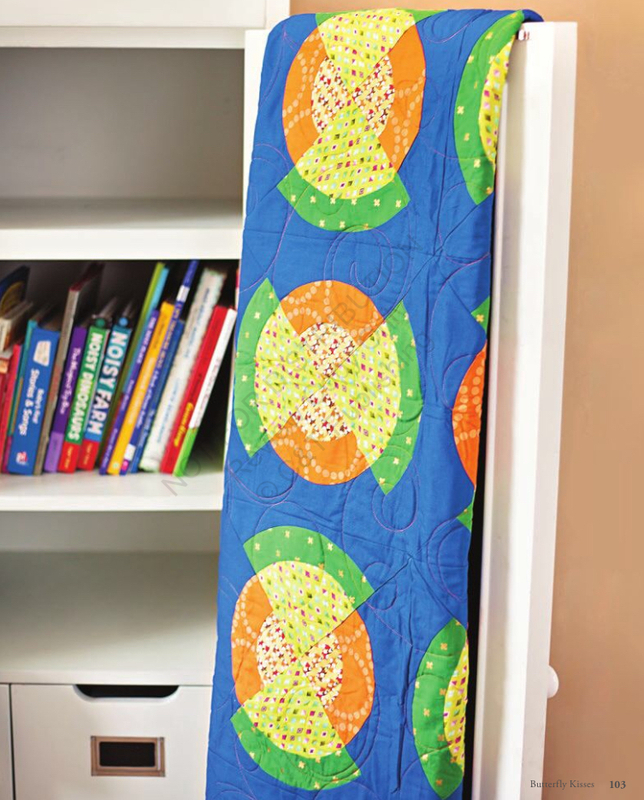 The book includes not only 20 Stash-Building patterns for kids but is packed full of wonderful information about Color and Fabric, Tools and Techniques as well as Maintaining your Stash. 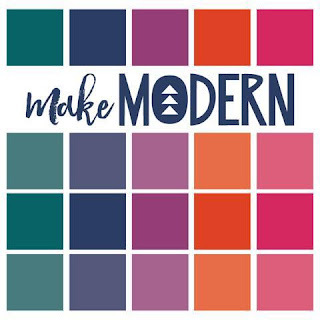 I especially love that examples of each pattern is shown in both a cool and warm color palette. 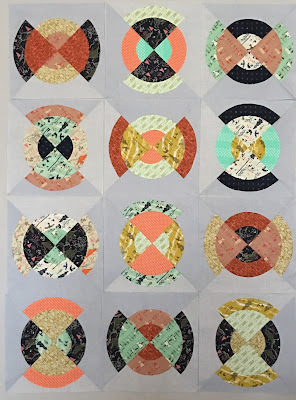 With so many choices on what to make including 10 Appliqué projects, I decided on Butterly Kisses. The illustrations and step by step photos throughout the book are so helpful for visual learners like me. 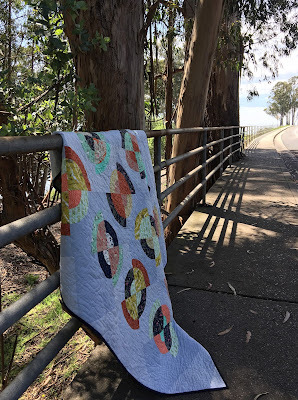 Because I really enjoy the step of pairing up fabric combinations, I chose to make a mine using a layer cake of Cotton & Steel Tokyo Train Ride. Isn't it fun how different the same blocks look? Sewing late at night did not give much opportunity for process shots along the way but here are a couple. For the background, I used both the right and wrong side of a blender fabric and strategically placed them to give a subtle secondary pattern for added interest and play. I also added background around the blocks and used a four by four layout instead for a square quilt finishing at about 60". Stacey's book is really fantastic for all skill levels too. Did I mention the awesome section on color? Such a great resource! 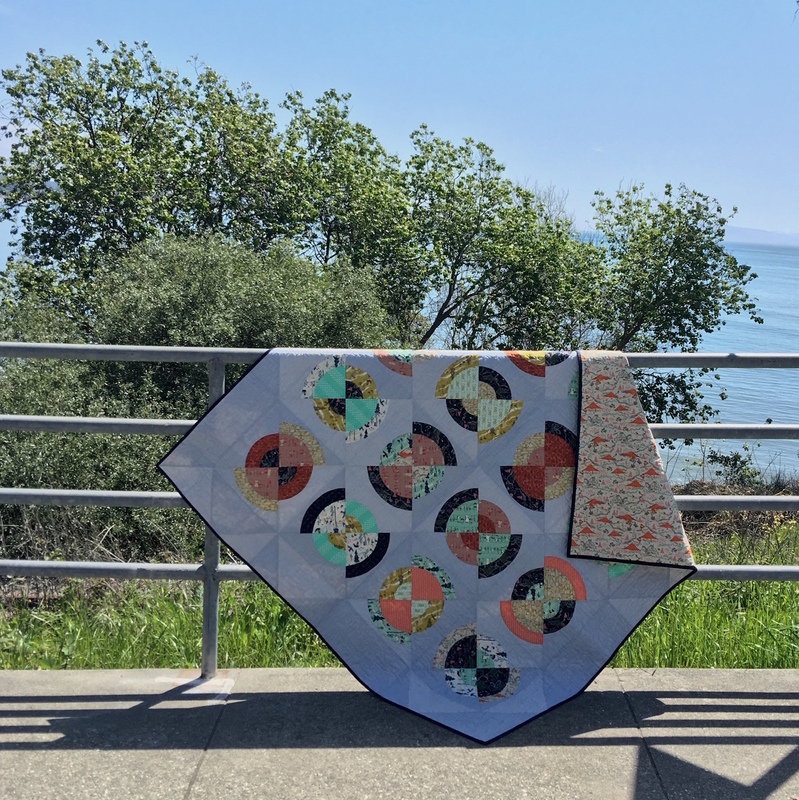 I had a great time making the quilt and can't wait to see what everyone else will be revealing throughout the next week and a half (links below). Yesterday on my way home I just had to stop for another photo shoot. The sky was blue and the temp mid-70's, my personal sweet-spot for weather. The view of New Brighton State Beach was so pretty and I did a clever positioning of the drape to edit out the many visitors here on Spring Break. Be sure to check out more pictures on THIS Instagram post and enter to win a copy by regramming your favorite of the five that I've shared there. 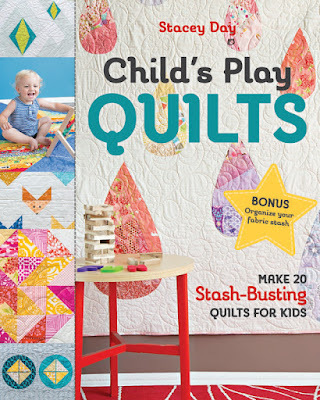 Just use hashtag #childsplayquiltsgiveaway, follow and tag both Stacey and I when you do . If I had to pick one it would be this final shot below. Check out the amazing Blog/IG lineup and it's only just begun. Thanks Stacey for including me in your book hop! Well we really stepped it up a notch this time! My granddaughter has a genuine interest in quilting and we have dabbled in projects together before. This was the first time that she actually got to sew using my machine and I let her lead completely rather than guided when it came to designing as well. She was going to her good friends birthday party and I asked if she wanted to make a doll as a gift. 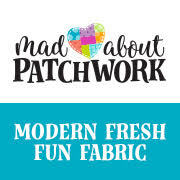 I knew it would be quick and simple with the pre-printed fabric I had in my stash. 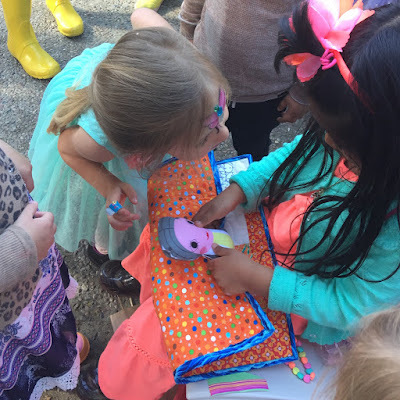 Usually I do the machine sewing and she does the other tasks but now that she's 4 1/2 we decided it was time to graduate to an advanced level in the process. I'm lucky that she pays way more attention to where I store my notions and knew exactly where to find the stuffing. 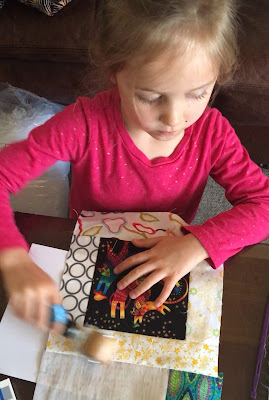 It turned out really cute and would have been a perfectly thoughtful present BUT she wanted the doll to have a quilt. So - I pulled out a bag of UFO parts that I had started during a QAL. We found a center that she liked and the precuts to go with it. It was fun to listen to her explain why she was choosing the strips, because her friend likes cats, birds, and to paint (the blue looks brush strokes). My favorite is the binding ocean waves fabric to represent their time at the beach together. With a finished doll and doll quilt we could have stopped there, BUT she wanted a quilt for her friend so we kept going! Not only did she choose the fabrics but thanks to the roller I discovered another step that she could master and take pride in. Did I mention the party was the very next day? Yup. We worked side by side the entire time. Her enthusiasm and endurance never faltered. 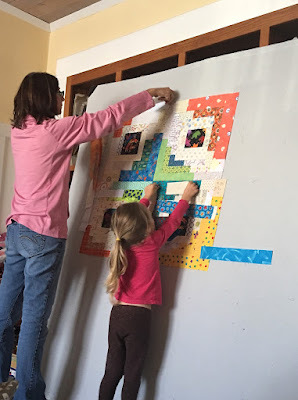 Proof of that can be seen in this next picture where she literally had to hug the quilt when we found the butterfly fabric to add for a border. I'm a little out of practice FMQing on my home machine now that I have use of my friends long arm but I knew I could handle the mini. 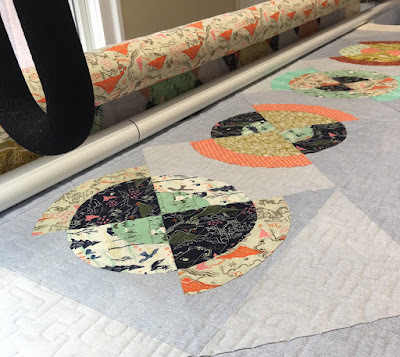 I used my new Juki 2200QVP for the first time for the bigger quilt and it was a dream. I love a no-fuss machine. At the party she was excited to have her friend open the present and it was adorable to watch. The backing needed pieced which was perfect since the aqua fabric was the first FQ she had pulled from the stash to use. She was able to gift the large quilt during a play date the next week because it wasn't done in time for the party. I like this shot of all the parts in relation to one another. I didn't get a good photo of it all together but the memory of the marathon day of creating will not be forgotten by either of us.